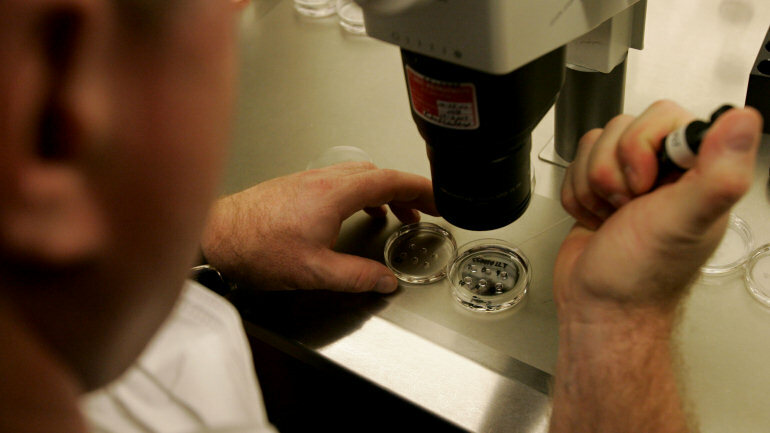 SAN FRANCISCO -- A woman must abide by an agreement with her ex-husband to destroy five frozen embryos if they got a divorce, a California judge ruled Wednesday. San Francisco Superior Court Judge Anne-Christine Massullo said in a tentative decision that the agreement trumps the woman's desire to now keep the embryos. The woman, Mimi Lee, had argued that the embryos represent her last chance to have children after cancer made it risky for her to get pregnant. Her ex-husband, Stephen Findley, wanted to discard the embryos in accordance with the agreement he and Lee signed while married. Finley's lawyer alleged that Lee was using the embryos as blackmail in their divorce proceedings. A call to Peter Skinner, an attorney for Lee, was not immediately returned to the Associated Press. In July, Skinner told CBS San Francisco cancer treatments made Lee infertile, which gave her a "more compelling argument." "If you're going to be giving up give up such a fundamental right as your ability to have your biological child going forward, you should have a little bit more of a rigorous test, a rigorous process than simply checking the boxes on a form like this," Skinner said. David Magnus of the Stanford Center for Biomedical Ethics told CBS San Francisco while he sympathized with Lee's desire to have her own children, courts generally see these cases as a matter of legal contract. "The ethical framework that has been largely been agreed upon has been that this is the sort of thing that's ought to be worked out in advance as much as possible. And in this case, it was decided that in the event of a divorce, the embryos are not to be used," Magnus said.